Join our Facebook group! 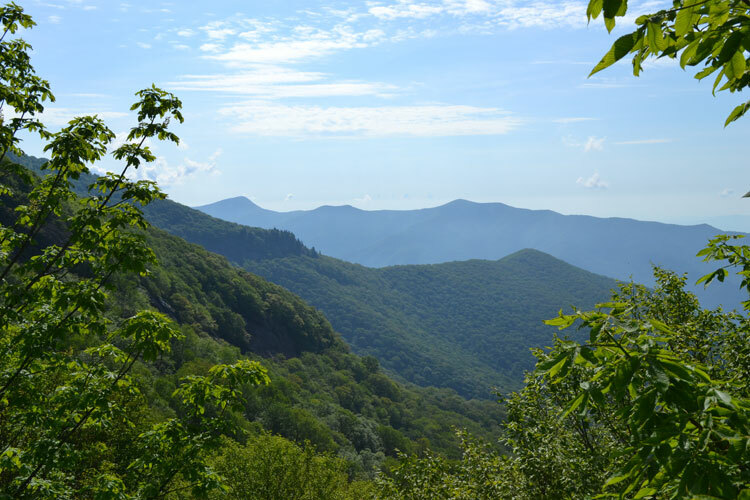 – A great place to post photos and discuss things related to outdoor painting in WNC. 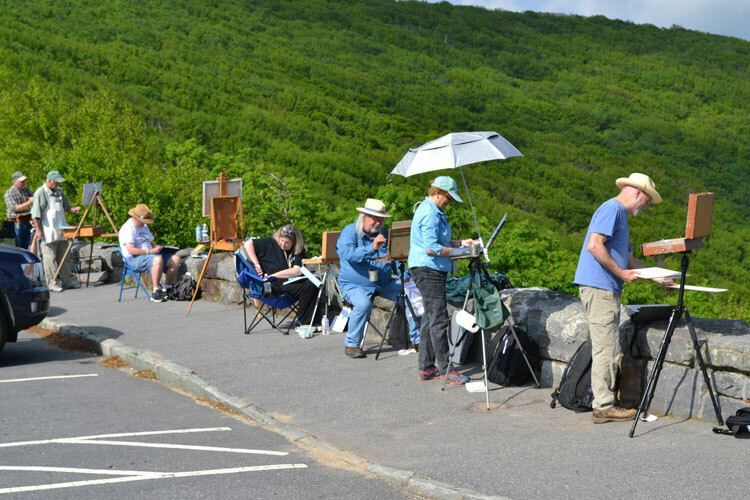 Note: This is a combined facebook group for all Asheville area plein air painters. You do not have to be a member of WNCPAP to join our facebook group. Also, you don’t have to be on Facebook to be a member of WNCPAP. Everyone is welcome to join us for any of our paintouts, for free! We welcome anyone who wants to paint with our group. So, what’s the benefit of being a member? Listing on the member directory page of the WNCPAP website with link to your artist website. Portfolio of your paintings on the WNCPAP website. 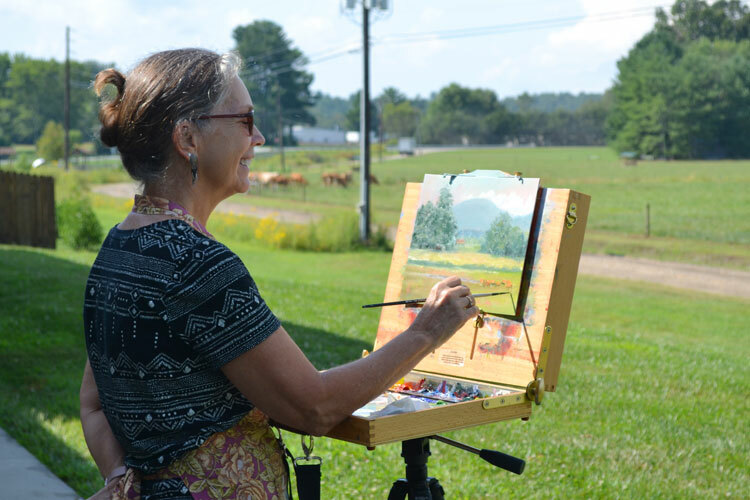 Opportunity to show your paintings with the group – From time to time we have the opportunity to show our artwork at various venues in and around Asheville. WNCPAP group shows are open to members only. End-of-Year Party – After the weather turns cool (usually in early November) we have a group dinner party for members. Annual dues cover the cost of the party. You support the arts! Some of our annual budget goes to support other regional plein air painting groups that don’t have membership dues. We are proud to support Asheville Urban Landscape Painters and North Carolina Plein Air Painters.